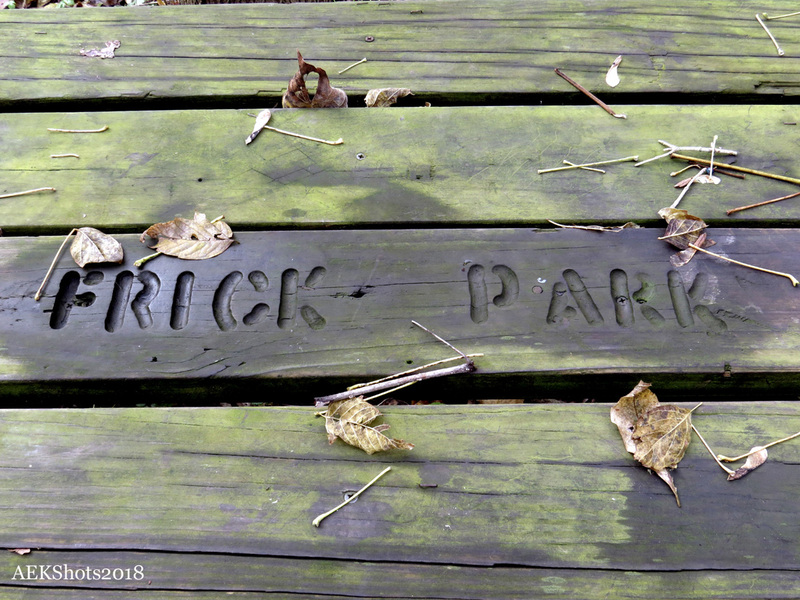 Finally got a chance to head out for a few fall shots and that means going to one of my favorite places…Nine Mile Run at Frick Park. It seemed like it was taking longer than normal for the leaves to change this year. And then all of a sudden, they’re all on the ground or in the water. Getting to this week’s challenge, I look for things that stand out and catch my eye, like these golden leaves. 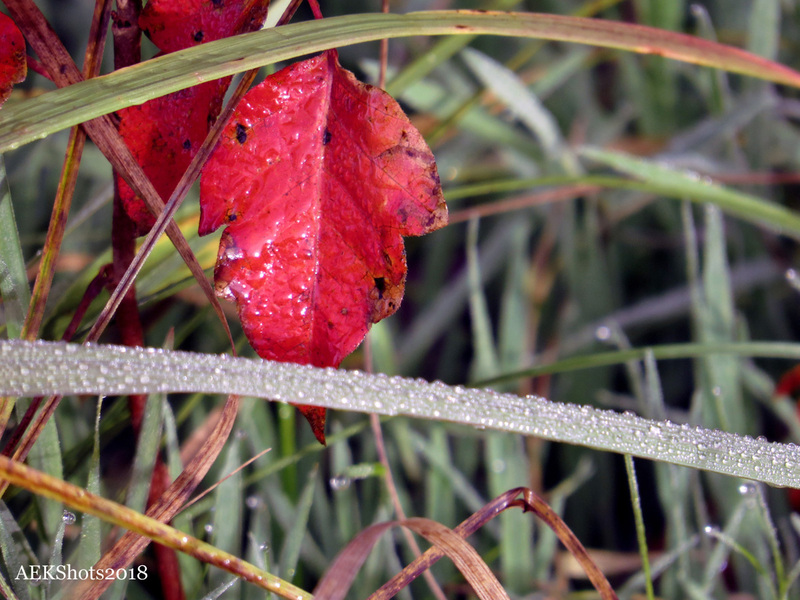 Or this bright red leaf peeking out at me thru the blades of grass. With all the rain we’ve gotten this year, the trails are muddy and in some places washed out. 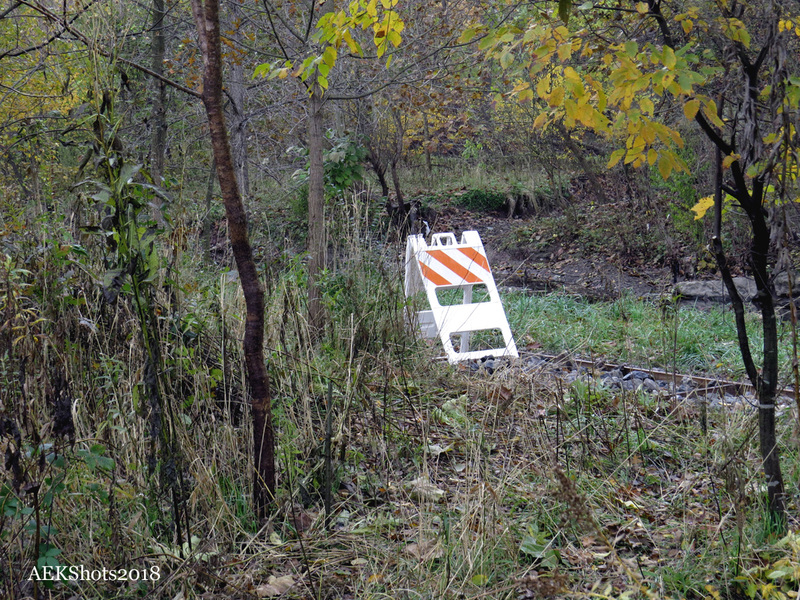 This caution barricade obviously stood out and was an odd site to see in the woods. 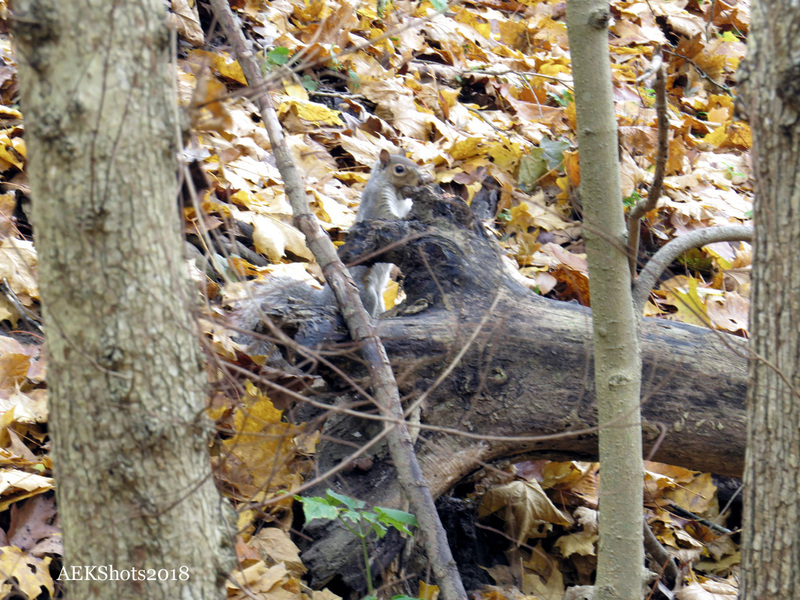 And on the blended in side, I caught this little guy hanging out enjoying the brisk fall morning. 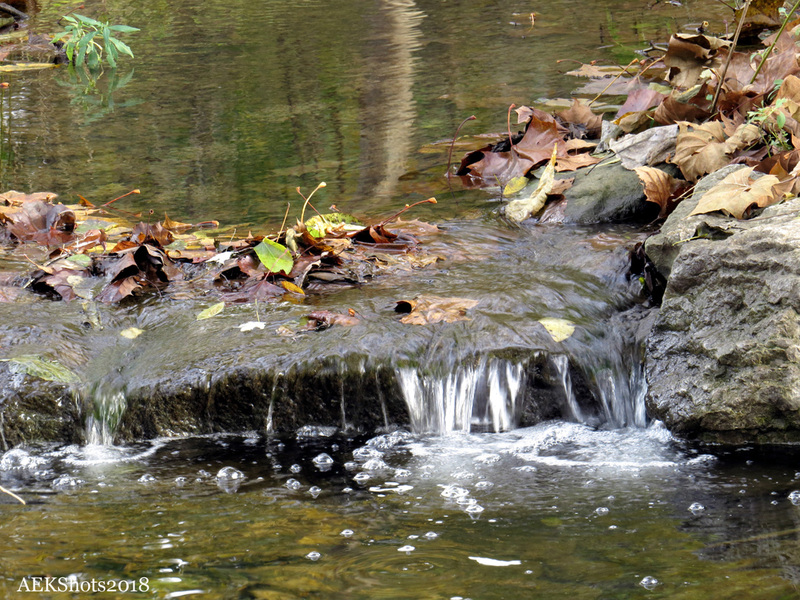 Thanks to Leya for providing this week’s challenge theme. Thanks Rupali, appreciate the comment. 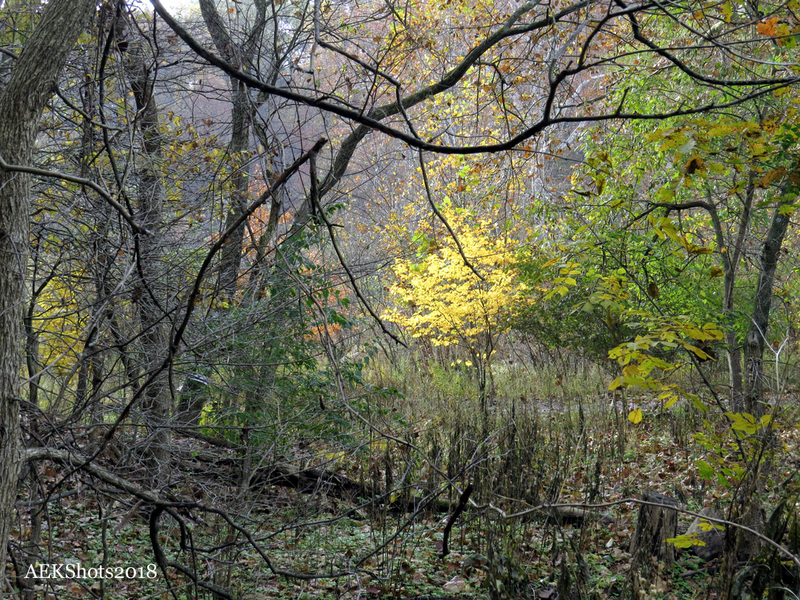 Lovely blending ins…and for the little squirrel I had to look twice! 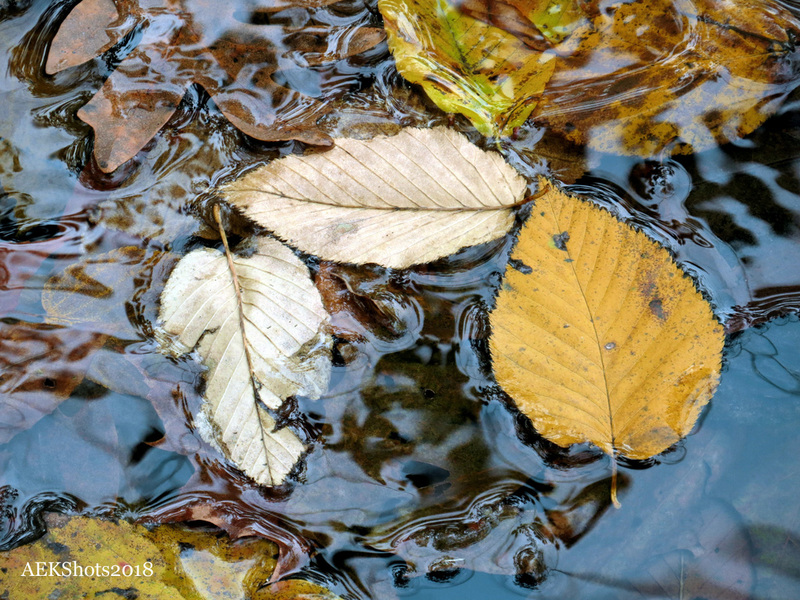 Leaves in water works magic. Standing out is perfect too – I found that caution barricade a bit odd in the middle of the forest though. But needed. Thanks Leya, I almost walked right by the squirrel but he flinched a little and caught my eye so I was able to get the shot. Thanks Tina, wouldn’t mind trading a little of our fall for some of that gorgeous beach you have down there…lol.